There is a variety of competing ideas about the nature of self in the Hindu tradition. Efforts to bring them together under a unitary conception were underway for many centuries. Much of the eighteenth-and nineteenth- century Oriental scholarship and the latter-day popularist movements made considerable effort to obscure the complexity and diversity of the idea of the self and its horizon in the broad spectrum of Hindu beliefs. This modest study discusses the different conceptions of the self, and answers questions such as what is the self? And where does the self come from? How does the personal self retain its identity over time and space? In answering these questions it draws from the Vedic texts, Upanisads and the Vedanta system, especially Advaita (non-dualism). 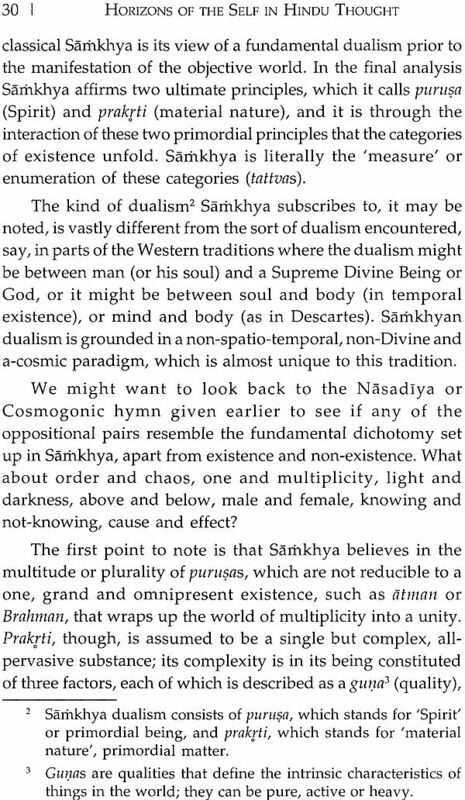 It also looks at the Samkhya system and its radically different conception of the self, which varies considerably from that of Upanisadic formulation. Buddhist and latter-day criticisms of the Hindu positions on the self via the “neo-self” theory are discussed. The book also addresses questions such as what happens to the self, what does it do? Where does it go? and where ought it go? discussing fate or destiny of the self in the context of karma, dharma, death and rebirth. Issues such as ends or goals towards which a person has to strive, realizing the fullest potential and purpose of the self, are well deliberated upon. Sankara’s concept of the self and critique of the non-self are also examined. Prof. Purushottama Bilimoria, PhD, is a Senior Research Fellow at the Oxford Centre for Hindu Studies and a Senior Lecturer at Graduate Thelogical Union in Berkeley. He is a Chancellor’s Scholar and Visiting Professor at the University of California, Berkelwy (California, USA), an Honorary Professor at the Deakin University and Senior Fellow at the University of Melbourne in Australia. There is no one single idea of the self in the Hindu tradition. In fact, there is a variety of competing ideas of the nature of the self that tradition has had to deal with, often striving to bring them together under an unitary conception. And this is not achieved without some conceptual difficulties. 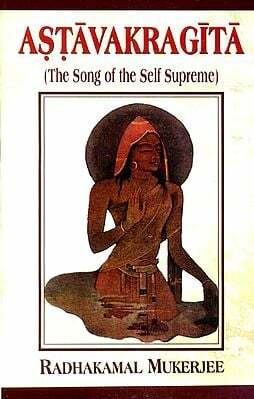 Thus, the conception of self that emerges in the course of the reformulation in at least one prominent classical system, namely Vedanta, appears to be somewhat paradoxical, in that here the self is denied at one level, while at another level its existence is asserted. However, much of the eighteenth to nineteenth-century Oriental scholarship and the latter-day popularist neo-Hindu movements did much to obscure the complexity and diversity of the idea of the self and its horizon in the broad spectrum of Hindu beliefs, not to mention the broader field of Indian religious and philosophical discourses. We must note at the very outset that the designation ‘Hinduism’ is itself a problematical one, for the simple reason that it is a more recent term intended, apart from other things, to separate and sharply distinguish the continuing strands of classical Brahmanism from Buddhism which grew out of and in reaction to the Brahmanical tradition in Greater India. 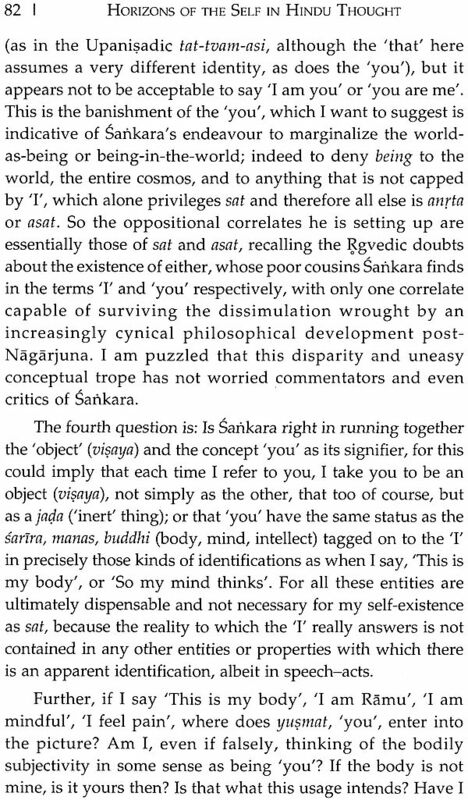 But this way of naming, on the one hand, lends to suppress the variety of beliefs that persisted in the remnants of the Brahmanical tradition and, on the other hand, also blurs some fundamental points of comparability, if not convergence, between Hindu and Buddhist beliefs on a number of issues, not the least on the question of the self, its nature, fate and so on. 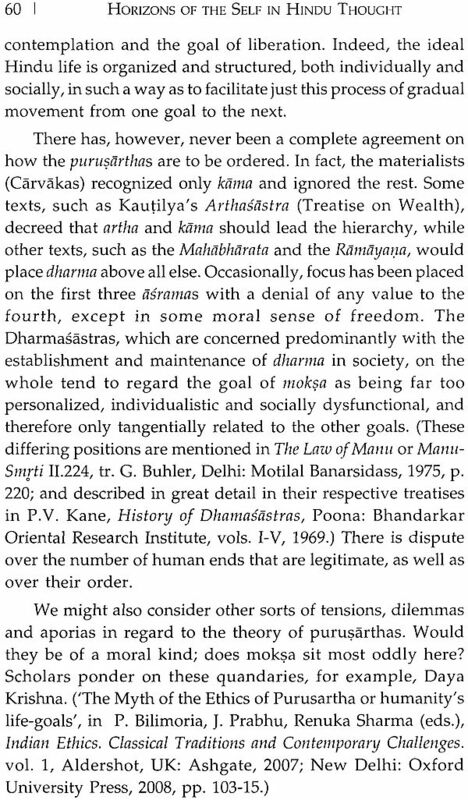 Indeed, Indian philosophers often do not carve up their professional spheres into watertight compartments of Hindu, Buddhist and other philosophies in the context of their history, but rather consider these as distinct systems or traditions of thought within that global genre known as Indian philosophy. The material in this text is divided into four major parts. The first two parts (A and B) discuss the different conceptions of the self. They are responses to questions such as What is the self? Where does the self come from? 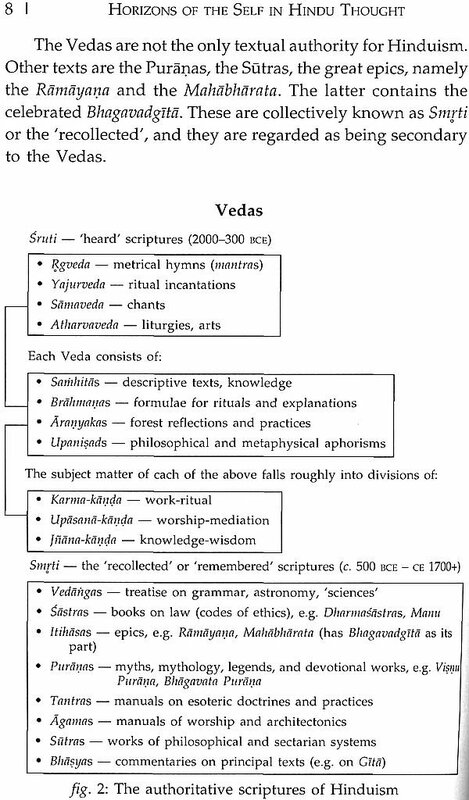 Part A explores some imaginative notions that emerge in the context of cosmological reflections recorded in the very early Brahmanical texts called the Vedas. 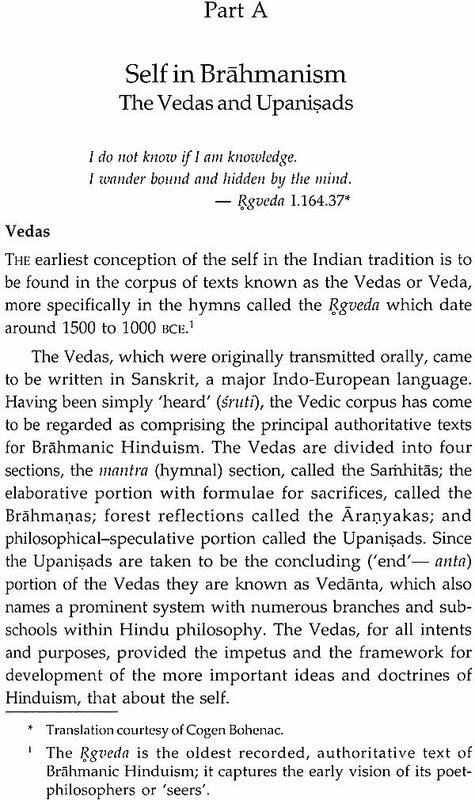 Their development towards a more unitary conception in later texts, particularly the philosophical Upanisads, usually identified with the Vedanta system, is examined in some detail. 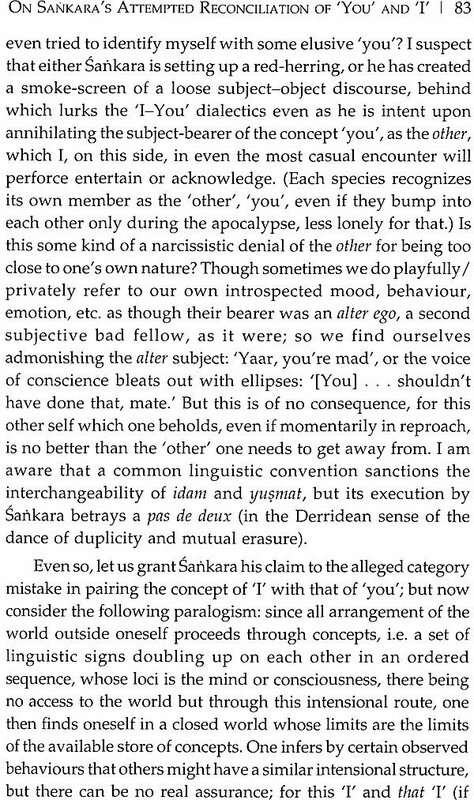 Part B looks at a divergent system, namely samkhya, and its radically different conception of the self, which appears to be opposed to the Upanisadic formulation. 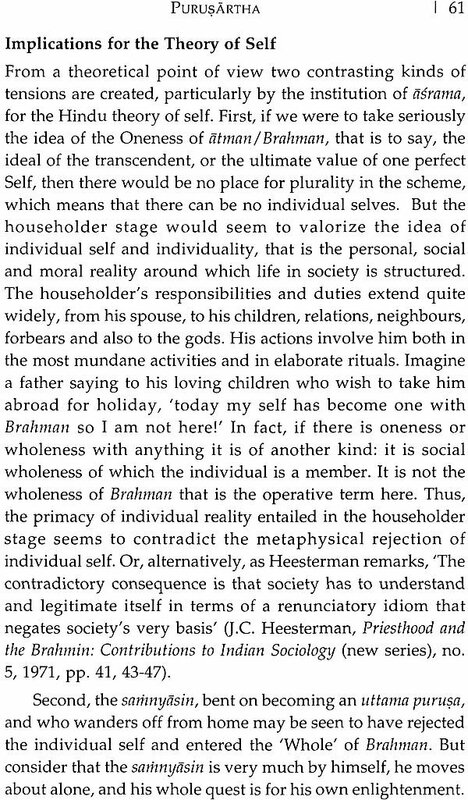 Some remarks are made on how the latter conception relates to the Buddhist idea of no-self. Parts C and D focus on questions such as ‘What happens to the self? What does it do? Where does it go? Where ought it go?’ In Part C, the discussion on the ‘fate’ or destiny of the self is taken up in the context of the concepts of karma (action), dharma (rules, norms,) death and rebirth. Part D concentrates on the issue of the ‘ends’ or goals towards which a person has to strive with a view to obliterating the sense of the self, or to realizing its fullest potential and purpose, or both, part E has a supplemental essay on Sankara’s concept of the self and non- self. The treatment that we follow here will, in part, be diachronic, i.e. historical, and, in part, synchronic, i.e. the conceptual deepening reached at various points in the historical deepening development. It will also be important to ground the otherwise abstract discussion in the more concrete context of the ‘life-world’ or living tradition of the people for whom these conceptions had or have some meaning, and which may determine their goals and purpose in life. 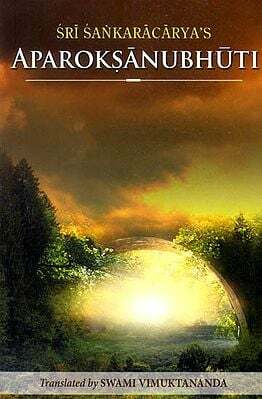 In Part D we shall pay particular attention to the tensions and conflicts that arise between the ideal and real, between the conception of the unchanging, transcendental self and the realities of human life with its variegated challenges.